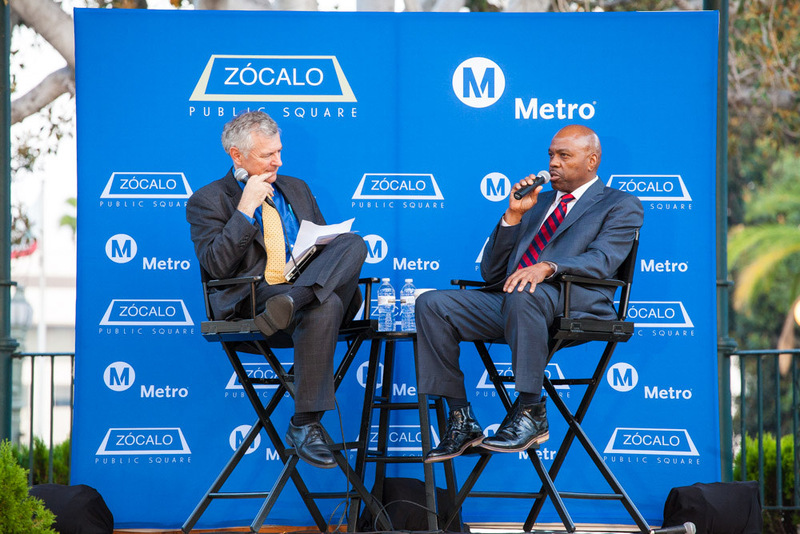 That was the focused message of Phillip Washington, the new CEO of the Los Angeles County Metropolitan Transportation Authority (Metro), before a standing-room-only audience a Zócalo/Metro event at the Plaza on Olvera Street. Washington, who came to Los Angeles three and a half months ago after years of heading Denver’s Regional Transportation District, spoke passionately about the need for Los Angeles to finish the build-out of its transportation infrastructure under Measure R—and for the country as a whole to devote far more attention and money to infrastructure. Is the 720 L.A.’s Most Delicious Bus Line?